In 2012 China’s investment in Iran declined by nearly 87 percent while bilateral trade was down 18 percent. China’s investment in Iran declined by nearly 87 percent in 2012 Al Monitor’s Iran Pulse reported last week, citing a statement made by Asadollah Asgaroladi, an influential merchant and the head of the Iran-China Chamber of Commerce and Industries. 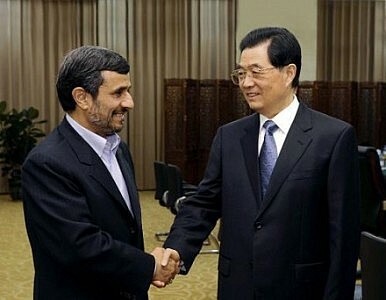 Elsewhere Asgaroladi was quoted as saying that China-Iran bilateral trade last had declined by 18 percent year-on-year. According to Al Monitor report, Asgaroladi told reporters that Chinese investment in Iran dropped from almost U.S. $3 billion in 2011 to just U.S. $400 million last year. The influential merchant also said that Iranian-Chinese trade in 2012 amounted to U.S. $37 billion, down 18 percent from the $45 billion of two-way trade in 2011. The 2012 figure was still higher than the US$30 billion in bilateral trade between Iran and China in 2010, however. The merchant attributed the sharp decline in investment to the impact of U.S. and EU sanctions. He also predicted that political infighting in the run-up to Iran country’s presidential election this summer would continue to act as a drag on the economy. In recent years Iran-China trade has grown steadily commensurate with China’s growing reliance on foreign energy and Western companies exiting the Iranian market. By 2007 China had replaced the EU as Iran’s largest trading partner and the two sides had pledged to more than double their annual bilateral trade to U.S. $100 billion by 2016. China’s energy companies had been particularly aggressive in replacing their Western counterparts in developing Iran’s oil and natural gas. In 2007, Sinopec announced it had signed a U.S. $2 billion deal to develop an Iranian oil field. Two years later, in 2009, China’s Natural Petroleum Corporation (CNPC) inked a U.S. $4.7 billion deal with Iran to replace France’s Total SA in developing phase 11 of Iran’s South Pars gas field. This growing trade and investment has not always resulted in more goodwill between the two countries. Ordinary Iranians and media outlets, in particular, often complain bitterly that the influx of cheap Chinese manufacturing goods has undercut domestic industry. The two sides have often been at loggerheads over Iranian charges that China was delaying the development of the oil and natural gas fields it had agreed to develop. In any case, China has appeared to reassess the benefit of its economic relationship with Iran since U.S. and EU sanctions went into effect last summer. Under the U.S. legislation the president is required to sanction countries that don’t continually reduce their reliance on Iranian oil and natural gas. Any company falling under the sanctions is denied access to the U.S. financial sector. So far the Obama administration has granted China a waiver from the sanctions, citing a decline in China’s oil and natural gas imports from Iran. Indeed, China has announced a number of moves to comply with the sanctions. The same month that sanctions went into effect last year CNPC announced it was pulling out of the deal to develop part of Iran’s South Pars gas fields. A Chinese bank also pulled out of a deal to finance the Iran-Pakistan natural gas pipeline in 2012, citing the Western and international sanctions. From all available reporting Sinopec has yet to begin significant work on its 2007 deal. Moreover, earlier this year a Global Times report warned Chinese companies to be cautious in making further investments in Iran because of sanctions. Still, as The Diplomat reported in January, China continues to be one of the four countries that together purchase almost all of Iran’s oil and natural gas exports. The other three countries are Japan, South Korea and India. Even after the nuclear deal, China shouldn't expect too much from economic ties with Iran.